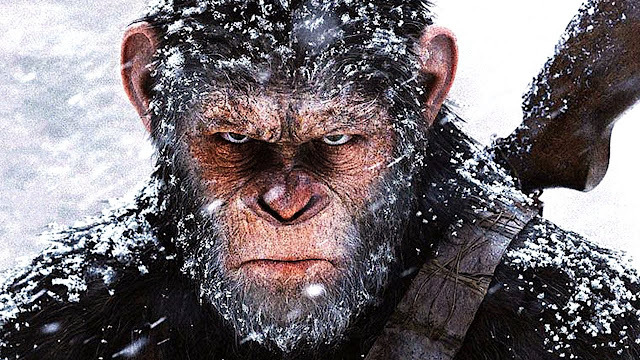 I am sure everyone but myself has seen War for the Planet of the Apes this past weekend? I did not, but looking forward to it. I still think the original 5 Apes movies are the best but these are good, and have some easter eggs for long term fans. I listened to KCRA's podcast The Business which has an interview with director Matt Reeves. The process involved in making these films is fascinating; they actually cut the movie together with all the dudes in their wetsuits (before the CG magic happens) and then send that off to Weta for the effects shots. On Dawn he had to make the movie within 2 years with a ticking clock; on War he had a full 3 years and reviewed every Apes film to figure out how to make this one. Reeves also discusses the forthcoming Batman film he is making starring Ben Affleck. I was accidentally spoiled on the ending for War, not by Twitter, not by Facebook, but by the New York Times! The article is Andy Serkis on the Ending of 'War for the Planet of the Apes' and I did avoid it. However when flipping around to the end of the arts section, they had a question in bold type which my eyes could not avoid! Terrible! All I can hope is that Ed Sheeran is not in a cameo in this film the way he was on Game of Thrones the other night! Nuff Said. Nope. Not yet for me. Still haven't seen Wonder Woman, either.